Ever since coming to the USA I've always wanted to capture a Sunset over the Teton from Schwabacher Landing, Grand Teton. The view across to the Tetons from Schwabacher Landing along the Snake River is fabulous at any time of the year but include a beautiful sunset then its a winning combination. 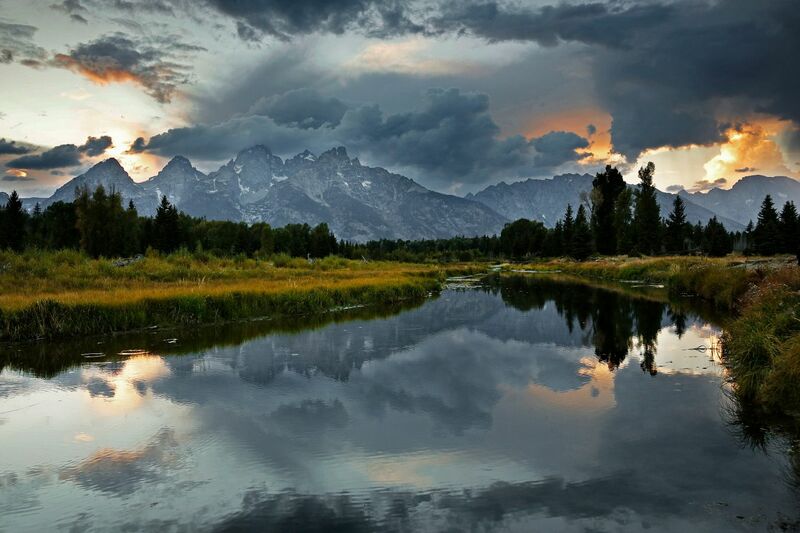 The Tetons always stand out against the sunset which can often be reflected in the Snake River - this is a beautiful location and one that should be on top of your photographic areas to shoot next time your in the area.